To discuss the cleanliness arrangements of China Scheme and its adjacent rural areas, Albayrak Waste Management arranged an overview session on the request of MPA Ch Shahbaz, in Workshop near Outfall Road on Tuesday. 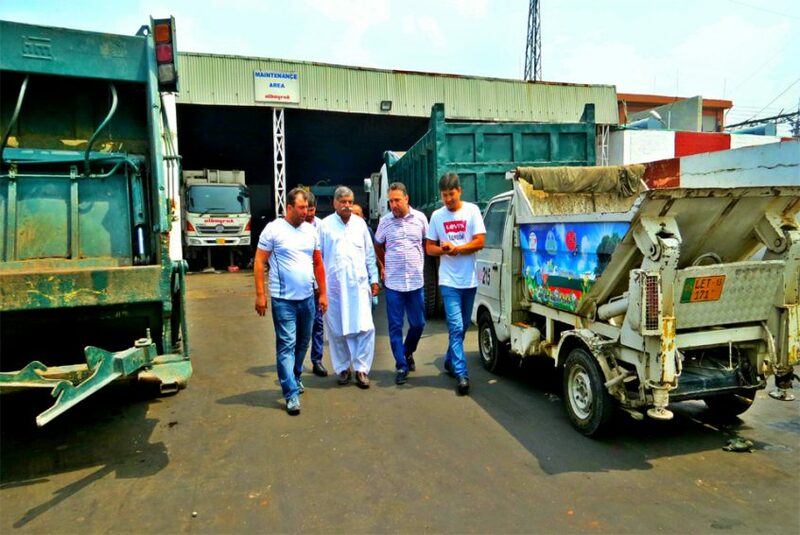 Albayrak team led by GM Operations Osman Nuri met with Deputy Mayor Ch Bilal and discussed the ongoing cleanup operations and advocacy drives in China Scheme. They also reviewed the performance of the workers in the field. Speaking on the occasion, the deputy mayor said that positive role of citizens is the hour of need to ensure proper waste management in the city. He also added that cleanliness arrangements and animal waste lifting have been improved in the areas of China Scheme. The deputy mayor also visited Albayrak Workshop and was briefed about the current states of machinery and vehicles.